I don’t know about you, but I ate the house down this week. On Christmas morning, we had homemade beignets and chicken apple sausages for breakfast and our Christmas dinner consisted of smoked brisket, mashed potatoes, and salted caramel cheesecake pie on a gingersnap crust. We did have fresh green beans, so maybe that cancels out the pie? Except I had two more slices of pie last night after dinner. Don’t judge. It’s Christmas. And if I don’t tell you about all the fudge, cookies, bread and butter I have consumed over the holidays it doesn’t count, right? But I’m finishing this week on a healthy note, you guys. My favorite go to healthy veggie? Kale. 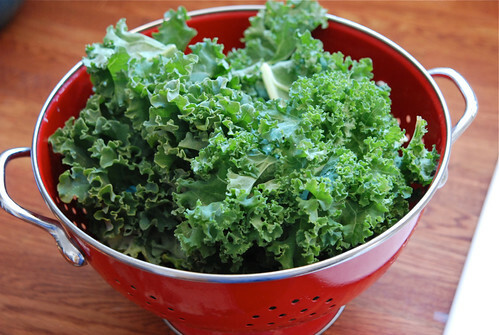 I love, love, love kale. I try to keep it in my refrigerator at all times, it’s very versatile. You can even make kale chips that your kids won’t eat. 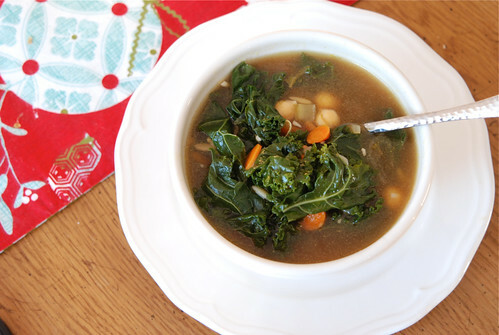 The American Cancer Society asked me to participate in their Healthier Holiday Table series and of course I said yes because one: eff cancer and two: the world needs more kale (to cancel out the pie). 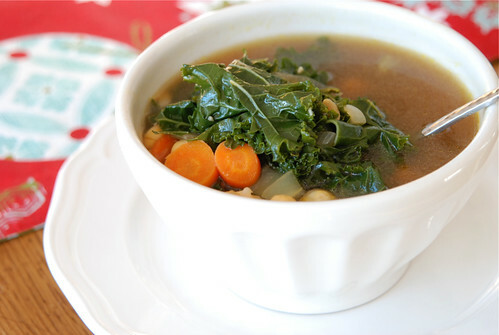 I was experiencing brisket/dessert burnout the day after Christmas and when I opened my fridge, I noticed a big bunch of kale in the bottom drawer and after a quick meeting with google, I decided to make Kale And Bean Soup. All the ingredients I used in this soup I had in my fridge or pantry. Add the garlic, celery, carrots, onion, salt, and pepper and cook until tender, about 6 minutes. Add the pasta, kale, rosemary, 8 cups of liquid. Cover and bring to a boil. Ladle soup into bowl and serve with lemon wedges and fresh parmesan. This soup got thumbs up from everyone in my family and it is even better the next day. 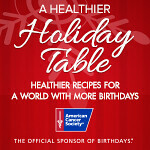 And here’s to a healthier holiday, more birthdays, less cancer, and more kale. Hurrah! In the end I got a webpage from where I know how to really obtain useful facts regarding my study and knowledge. Very helpful information particularly the remaining section 🙂 I take care of such info a lot. I think that everything typed made a lot of sense. However, think on this, suppose you added a little information? | Raising Colorado is a little plain. You ought to peek at Yahoo’s home page and see how they create article titles to grab people to open the links. You might try adding a video or a picture or two to get readers excited about everything’ve written. Just my opinion, it could bring your blog a little livelier. Wow! Finally I got a weblog from where I can actually get valuable facts regarding my study and knowledge. Hi there Dear, are you truly visiting this site regularly, if so after that you will absolutely take good knowledge.